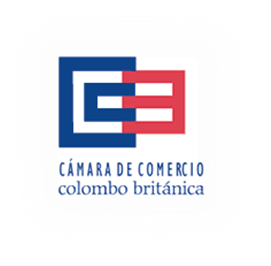 The Colombian British Chamber of Commerce promotes the benefits of trade and investment between Colombia and the United Kingdom, and has great pride to introduce you to one of the most biodiverse countries in the world: Colombia. Located in South America with a surface of 1.14 million km², larger than France and Germany combined; Colombia’s young population is the second largest Spanish speaking country after Mexico with 48 Million inhabitants. The capital of the Andean country is Bogota, with almost 8 million inhabitants matching the size of Greater London; followed by the new South American tech city Medellin, the salsa capital of Cali, the massive Caribbean port of Barranquilla and beautiful colonial Cartagena with each around 2 million residents. A blend of modern cities, paradise beaches on the Caribbean and Pacific coasts, rainforests and majestic mountains; Colombia offers great opportunities for tourists, but most importantly for trade and business in many economic sectors such as manufacturing, agriculture, mining, energy, travel, tourism, transportation and telecommunications. With a PPP GDP per capita of £5,296 in 2014 and growing, Colombia also quadrupled its exports and imports volumes, attracting almost £10bn foreign direct investment in 2014, of which the UK is in the top 4 highest investors; strongly boosted by 2013 Free Trade Agreement between the EU, Colombia and Peru.